Parrish Kunkel’s approach to inspecting homes and commercial buildings is simple but highly effective. Instead of assuming everything is in good shape, he does exactly the opposite. 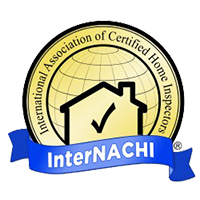 By looking at your future home or business building through such a critical lens, he’s able to identify problem spots that another home inspector might miss. This is part of his promise to always go the extra mile for every customer so that you know exactly what you’re dealing with. Parrish spends a few hours with your home, but you could live there for a lifetime. This is why Parrish loves educating buyers about the many systems and components within their new home. He also enjoys providing invaluable advice that will help you understand and handle the property’s future maintenance needs, along with letting you know about the materials that were used to build your home. Parrish adds all of this to his home inspection service because he truly cares about helping Utah residents. Parrish’s love for buildings and construction doesn’t end when he clocks out from Your Inspection Pros. He still works construction and is a realtor when he’s not serving Utah as a home inspector. He also loves real estate investing, which involves purchasing, renovating, and selling properties. Golfing, hiking, and exercising at the gym are among his favorite leisure time activities.